on the left side of this picture. 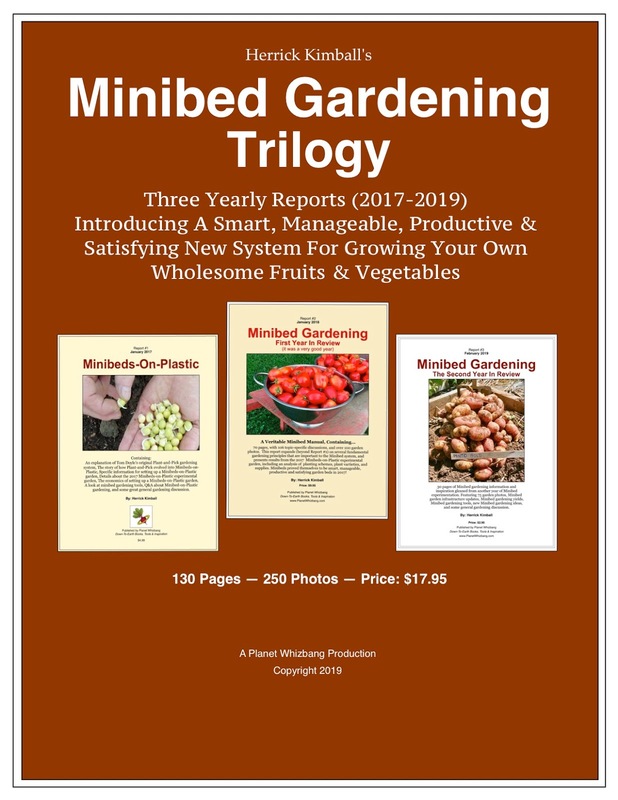 Minibeds-on-Plastic is a new gardening idea that I developed after experimenting with Thomas E. Doyle's Plant-and-Pick gardening system (which is explained in his little-known booklet, Gardening Without Cultivation). At first look, it's a simple concept. 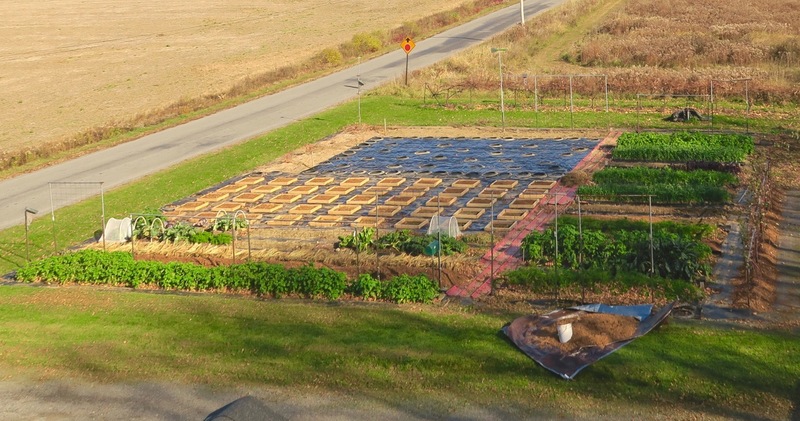 The two basic components (black plastic for mulch, and small-size garden beds) have proven themselves over the years. But they have never been put together with the logic that you'll find in my Minibeds-on-Plastic gardening system. I believe the design of my system will result in a synergism, which is to say, the final outcome will exceed the sum of the parts. With that in mind, I have established a Minibeds-on-Plastic experimental garden for the 2017 growing season. commences, but I'm ready to go when the weather finally does warm up. 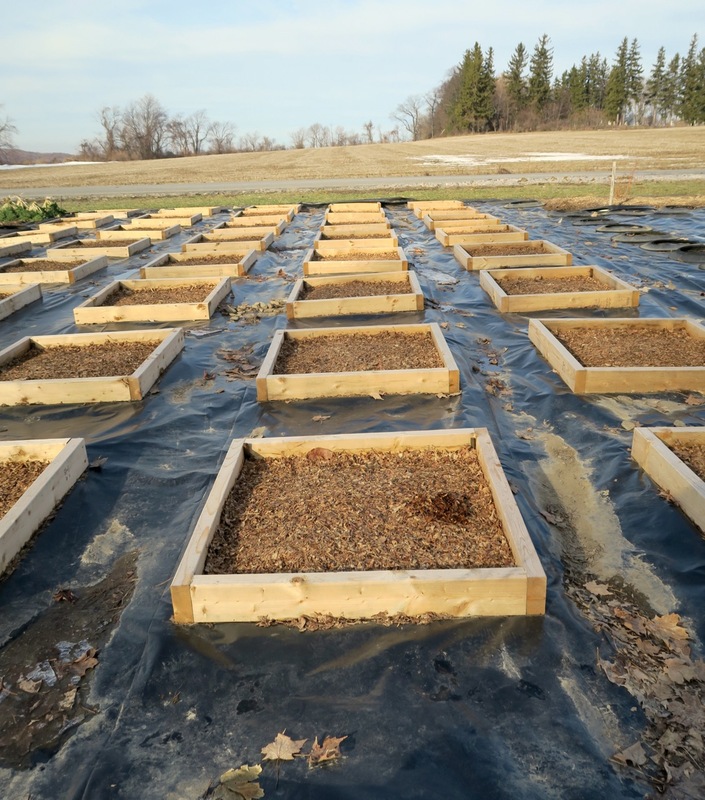 78% of the 24' x 44' experimental garden is covered with a single piece of heavy plastic mulch that will stay in place for years. As a result, no weeding or soil cultivation will be needed in 78% of the garden. The remaining 22% of the garden is open soil divided into 45 very manageable minibeds. The minibeds will be carefully-tended to create islands of fruit and vegetable abundance. Based on three years of gardening with Tom Doyle's system, and my own garden experiments, there is no doubt in my mind that my Minibeds-on-Plastic system will be a satisfying success. 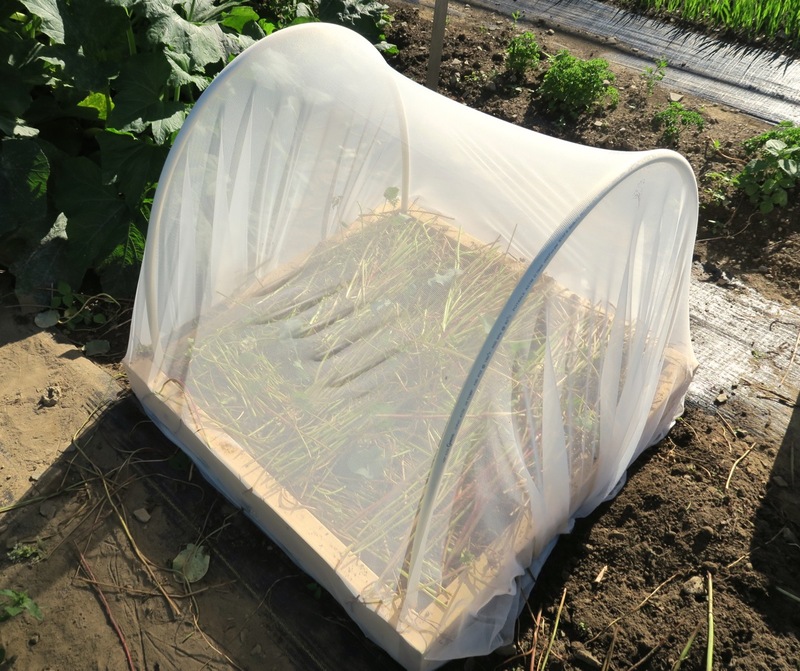 Two pvc hoops attached to the frame can be covered with row cover or insect netting. The loose ends of the material are held in place by simply tucking them under the frame all around the perimeter. I have never seen an easier and more secure method for covering a garden bed. After two years of successful Minibed experimental gardening I've published the Minibed Gardening Trilogy of yearly reports.